Disto, Other effects bundle or multi-effect from SKnote. SKNote has upgraded its dynamics processor Disto to v2, implementing several new features. 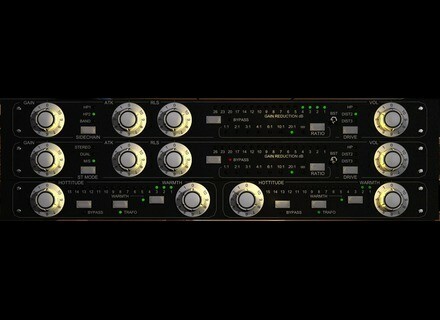 Among the new features introduced by this new version, the most notable are the additions of a "Clean" mode, a dry/wet mix knob and an autogain option. This new version is free to previous users and is 100% backward compatible with your projects using the first version, while new users can now get it for $39.99, as the release of this new version also marks the end of the long-lasting introductory price. New features such as AAX support and a bunch of presets elaborated by the creator of the original hardware which inspired Disto are said to be coming in the near future. More details at SKNote Audio's website and blog. Three new 24-hour offers at Waves this Sunday Today again, Waves offers special prices on two plugins and one bundle. Three new special offers at Waves this Saturday Today only, Waves offers special prices on two individual plugins and one bundle. Easter Sale at Plugin Alliance For Easter, the Plugin Alliance offers 5 special deals including a $19 "surprise egg plugin".